Please contact your Representative and ask them to support HOUSE BILL 145. 1. The Ohio Revised Code in Section 4511.27 already requires that motorists pass bicyclists leaving a safe passing distance. House Bill 145 sets the safe passing distance as "not less than three feet." 21 states already have the "at least three feet" passing requirement. During the last four years, six states have adopted the 3-foot rule. The 3-foot rule is endorsed by the American Automobile Association and the League of American Bicyclists, the largest national organizations representing these two transportation modes. We now have over 1,400 electronic signatures of Ohio bicyclists supporting this concept. 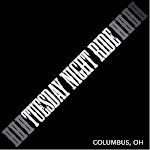 Please go to www.ohiobike.org to add your signature. 2. The Ohio Revised Code in Section 4511.132, already lists situations in which vehicles may proceed through an intersection controlled by a non-functioning traffic signal after stopping and yielding right-of-way. HB 145 adds another situation where "Failure of a vehicle detector to detect the vehicle" results in the light remaining red. This is a situation commonly faced by cyclists, as the bicycle is typically not detected by metal detectors buried in pavement, and the traffic light is not "tripped." See HB 145 at http://www.legislature.state.oh.us/bills.cfm?ID=130_HB_145. HB 145 is now before the Ohio House Transportation, Public Safety and Homeland Security Committee. This committee must approve HB 145 by a majority vote before it proceeds to the full House. The Ohio House is now in recess until September. This provides a great opportunity to visit your House member at home! Please take advantage of this opportunity to meet with your state representative to support our House Bill 145. While the House members are now home, staff members are answering the above Columbus office phones during regular business hours. They can provide numbers where the Representatives can be reached in their districts during the current summer recess. Please contact your state representatives, and call on them personally if possible. FWIW, I called Rep Stinziano. No answer,, so I left a message. Will try again. Called Rep Stinziano again today and had a great conversation with his aid. Rep Stinziano is a sponsor very much supportive and on board and is optimistic of it's chance of passing in the fall. They suggest as many of us as possible call other representatives to bring them on board as well.